@微博搞笑排行榜: Saw this on a blog, too niu! 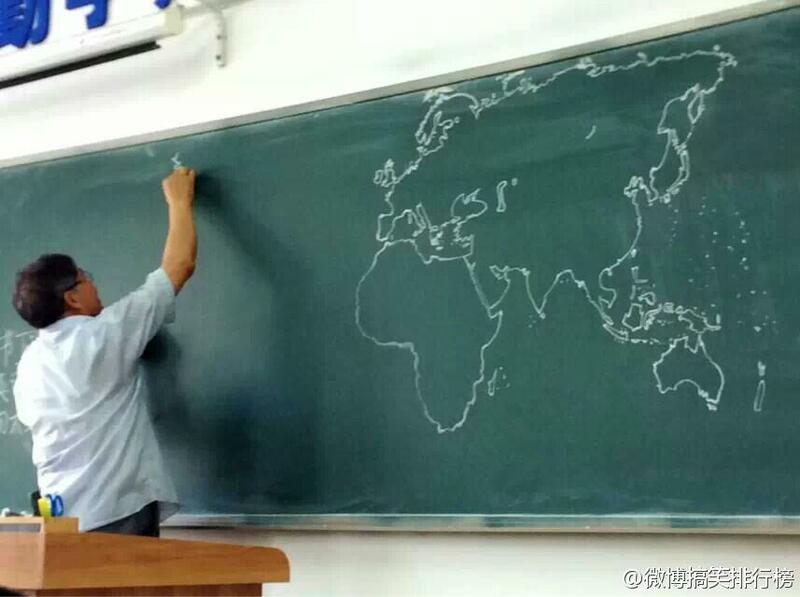 At the end, the teacher even gives himself a thumbs up!!! This is a history teacher at our high school, currently teaching my younger brother. 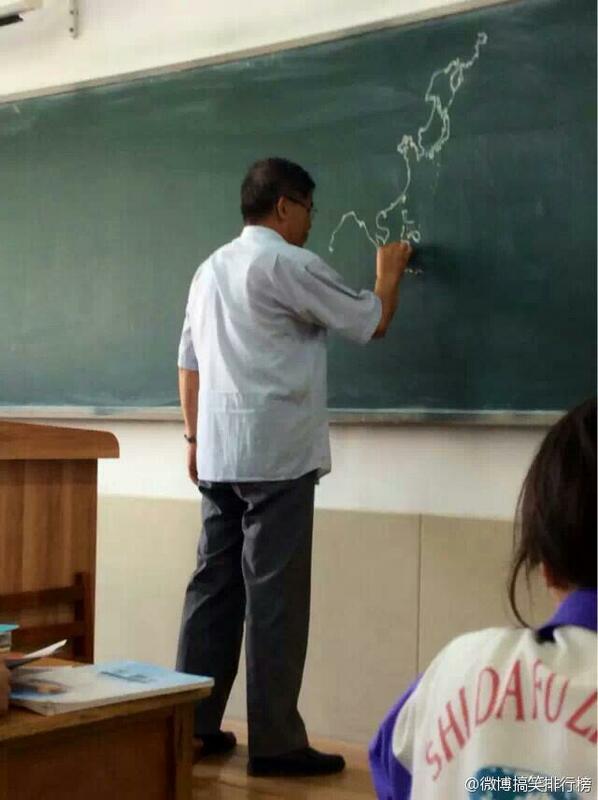 This blackboard takes at most a minute [to draw], probably because he’s been drawing this for half his life. I’m a student this semester. 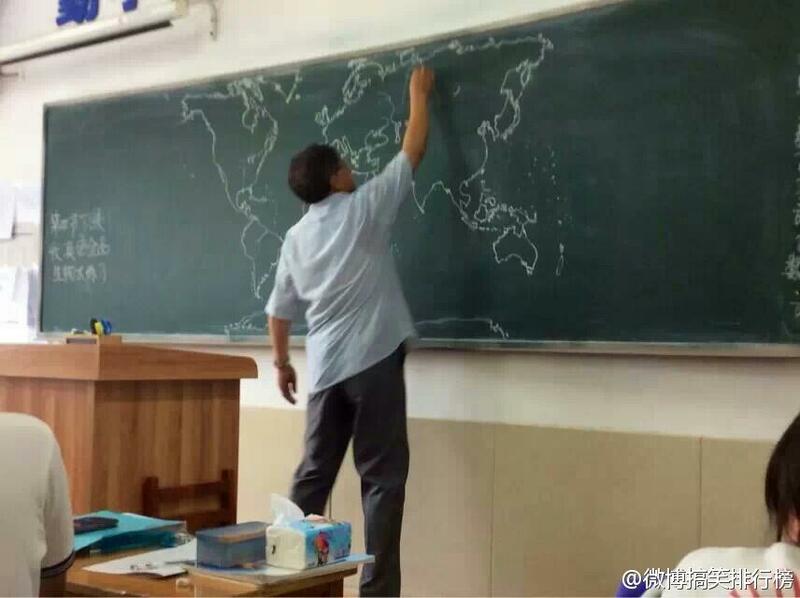 I want to meekly say something: he’s a history teacher, thanks everyone. Northeast Normal University-Affiliated Middle School. Not only is he dedicated to his work, he’s also passionate about it. 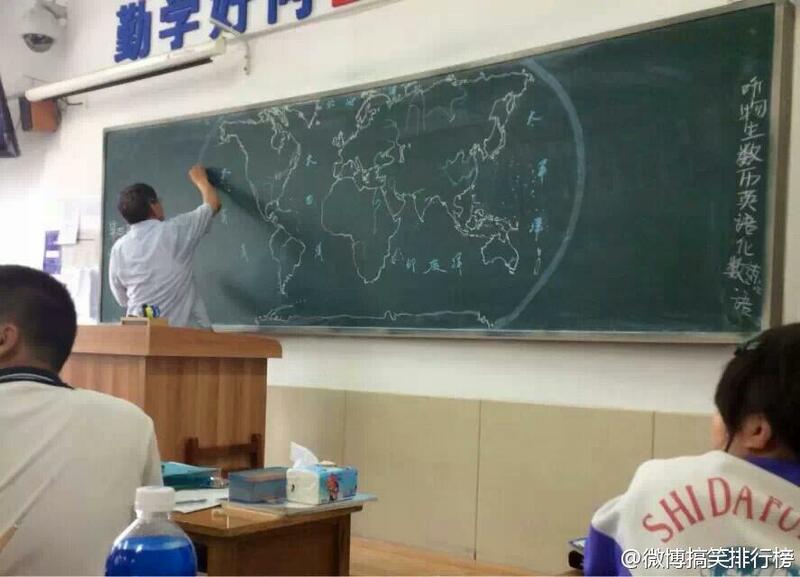 I dedicate this post to those teachers who are devoted to geography. 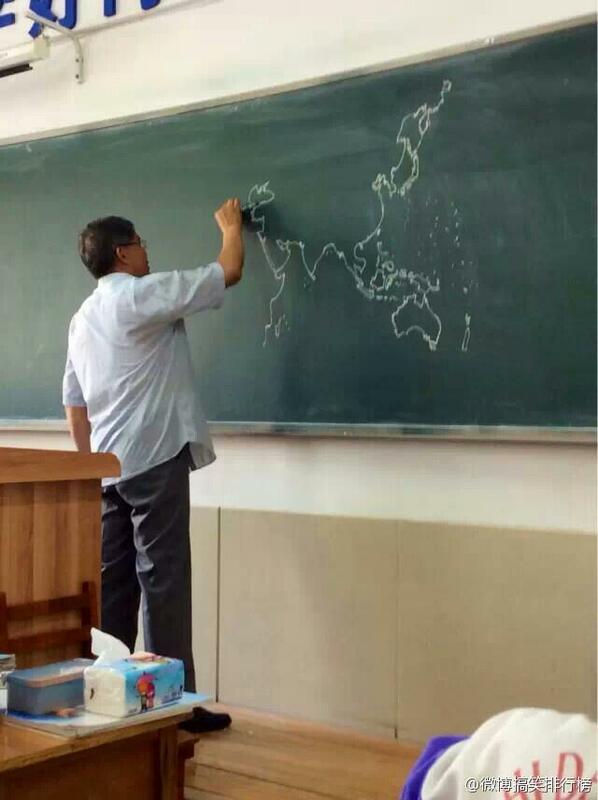 I hear it was drawn by a history teacher. This has already become one of the most popular microblog posts [at time of its original posting]. 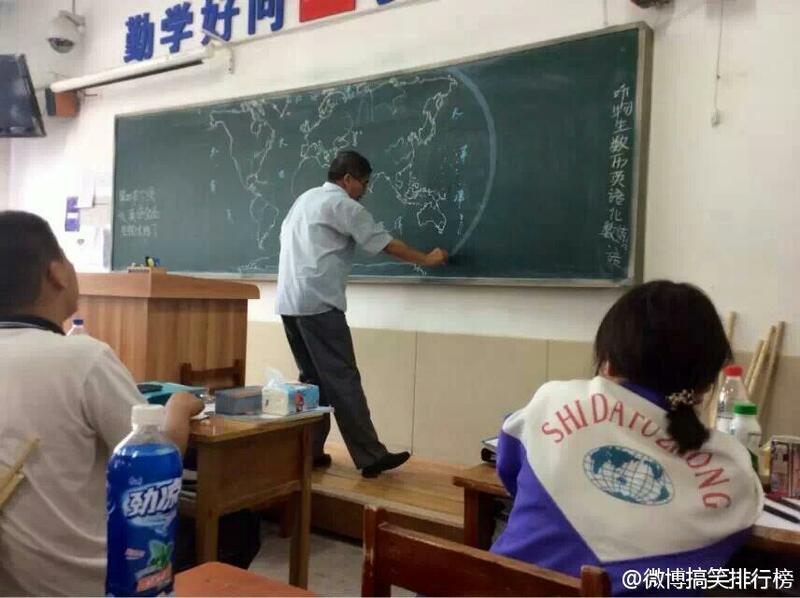 Looks like my Dongbei [Northeast] Normal University Affiliated Middle School’s Teacher Zhao Dengming has become famous! He taught me, so would I make this up? 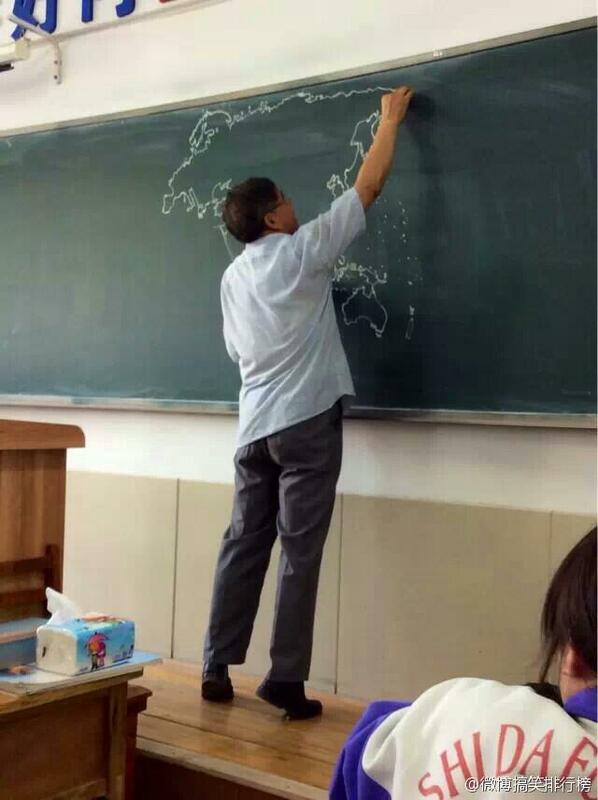 Would I lie about personally seeing him draw the map in class? 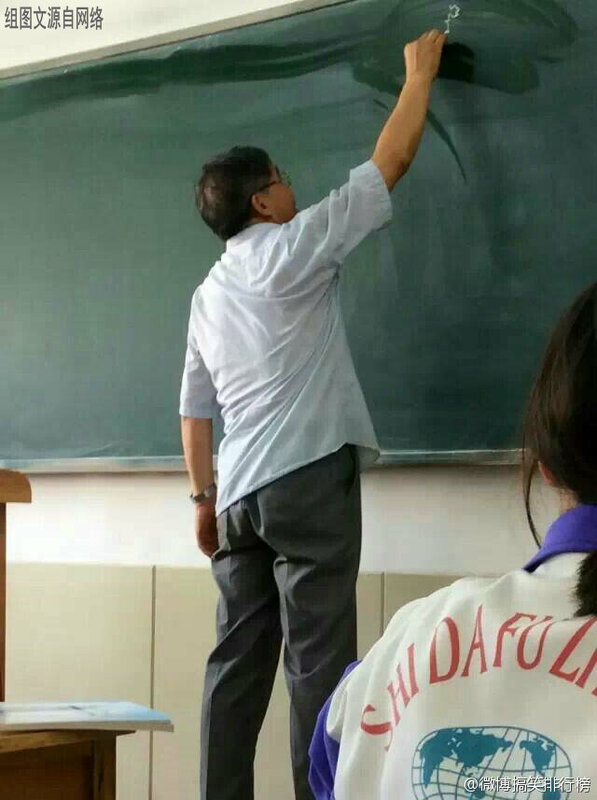 This old man is very adorable, teaching class with his loud, northwest accent. May he have good health! 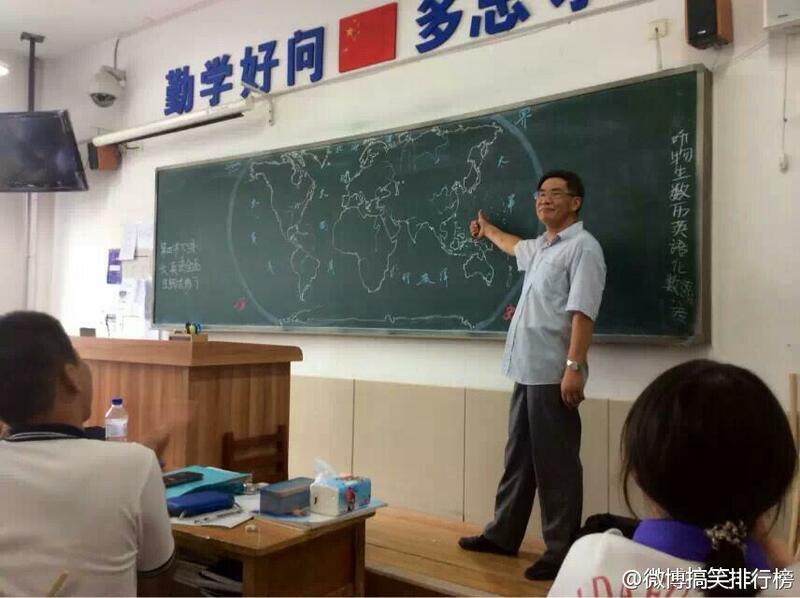 Also, again, I will always be proud of having been a part of Dongbei Normal University Affiliated Middle School! “iSpeak China”: What Are Young Chinese Thinking About?